In screen picture - Make a Wish - Alfred Center | get the most out of the best home security app! 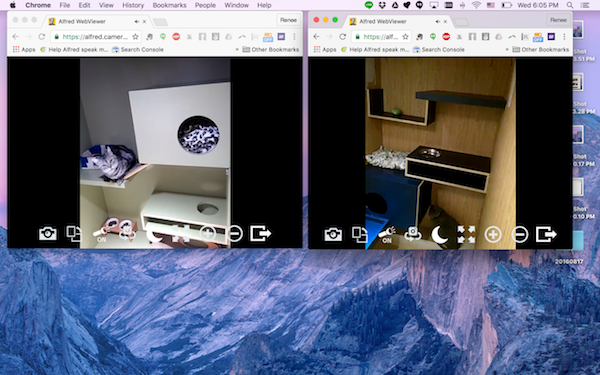 You can actually go to Alfred WebViewer, Choose one of your Camera, Put it into fullscreen, and resize the tab of your browser to watch the live feed in the corner of your PC. Let us know if this is the feature you are looking for.